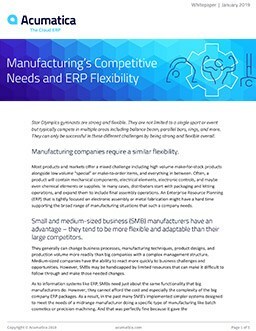 Streamline your procurement processes to ensure a steady supply of materials while enforcing policy and process controls. 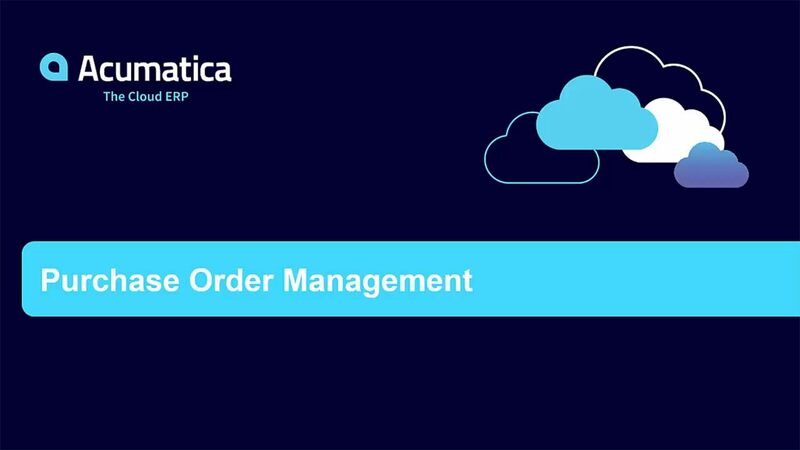 A purchase order system from Acumatica helps you reduce costs and improve vendor relationships by automating and centrally managing your global purchasing processes. Acumatica’s online sourcing automates the entire procurement process from vendor quotes to paying invoices. Automatically generate purchase orders based on stock level and inventory replenishment algorithms. Orders are placed with the vendor that best meets the price and delivery time requirements that you specify. Automatically generate drop shipment purchase orders from open Sales Orders. Create approval rules for order types, vendor information, order amount, and other order specific information. Control release via pre-set approval process. Track receipts, whether – partially filled, completely filled, or consolidated from multiple purchase orders into a single receipt. Automatically create accounts payable vouchers from receipts. Consolidate multiple rejects into a single voucher and multiple invoices from a single receipt. Modify pricing during the invoice entry in Accounts Payable with automatic variance posting in General Ledger. Link returns to purchase receipts, updating inventory with the correct item cost and reason codes. Measuring business performance doesn’t have to mean spending hours reading reports. This white paper explains the impact of KPIs. Create drop shipment orders for items to be delivered directly to a customer location, automatically from sales orders or linked manually. Automatically release sales order and invoice when purchase receipt is vouchered. Include additional shipping and handling costs with purchased items, capturing them by line item and cost code. Allocate costs using custom allocation methods. Directly enter landed cost bills in Accounts Payable and associated them with received items. Landed costs are automatically included in the inventory costs for stocked items. Upload vendor price lists with product descriptions, prices, and delivery times. Map uploaded items to existing inventory or create new items. Update cost, quantities, and lead times each time inventory is received. Retain statistical information for replenishment calculations and vendor performance. Analyze and manage your purchasing experience through a complete set of inquiry screens and auditing reports with drill down to the original transactions. Maintain a thorough audit trail of all purchasing transactions including identity of the users who entered and approved transactions any modified the record. Notes and supporting electronic documents can be attached directly to transactions. Cross-reference multiple item identifications among suppliers and your system. Automatically assign serial and lot numbers when receiving purchase orders. Automatically create accounts payable vouchers when goods are received. Multiple receipts can be consolidated into a single voucher and multiple bills can be entered for a single receipt.